This landscape painting in Blackwater Refuge of the Chesapeake Exhibited in the Arts for the Parks 2nd 100 and depicts the tranquility of the wildlife. 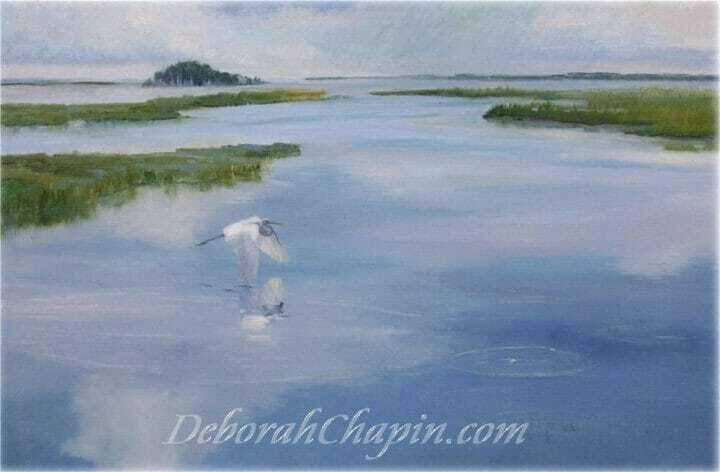 Canvas Print of this landscape painting is part the Chesapeake Plein air series, is an original oil painting by Deborah Chapin was painted from material painted at the Blackwater Wildlife Refuge, which I worked on for 10 years. 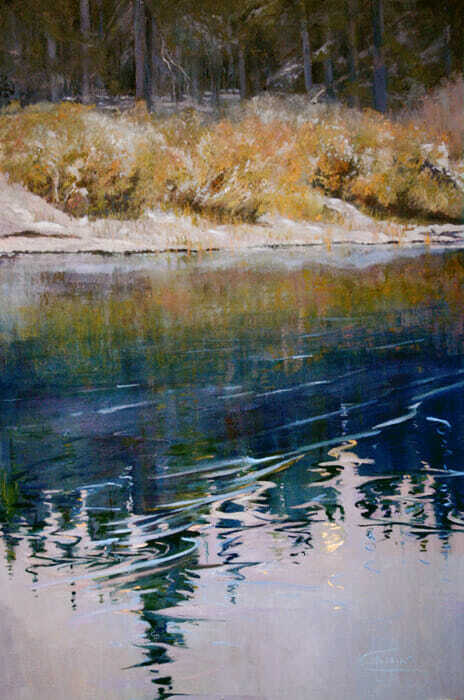 The original painting “Tranquility” was exhibited at the Arts for the Parks exhibition. Although the original is sold a full size print makes for a stunning design piece in a stylish home.